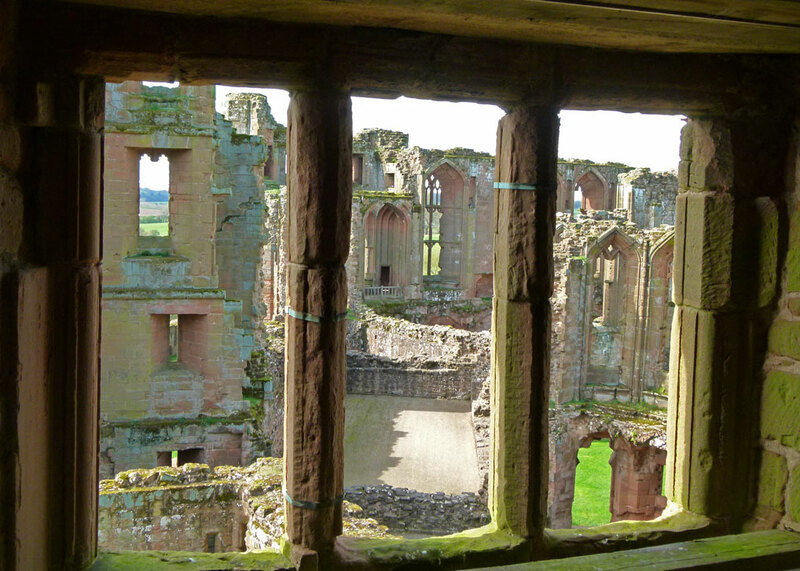 Awesome is an over-used word these days, but Kenilworth Castle in its prime must have been exactly that. It still is, in so many ways, its vast red sandstone ruins giving more than a hint of the money that has been spent on the place over the last nine centuries, and a tantalising glimpse into the lives of the hundreds of people that once called it home, or workplace. 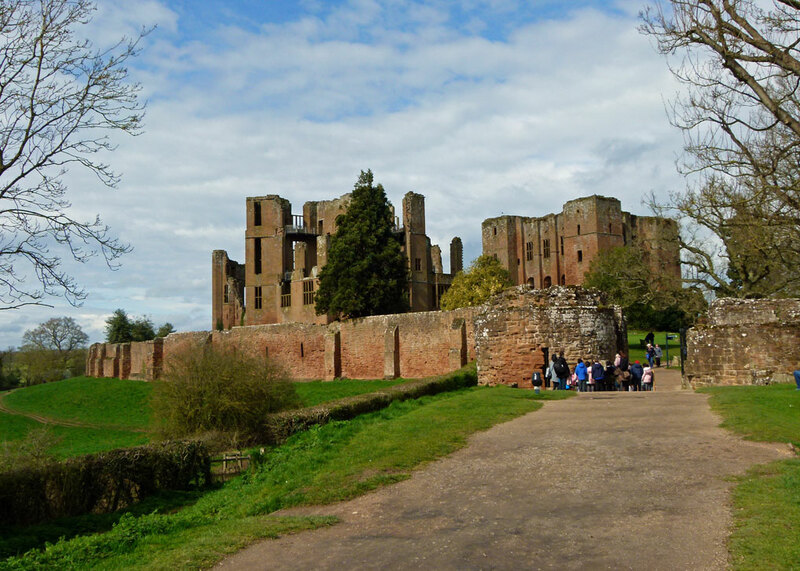 Kenilworth was first a fortress, then a medieval palace, a dwelling for nobles and kings. To some, it will be forever defined by the mythical romance between Elizabeth I and the Earl of Leicester, Robert Dudley; he invested so much in her visits. But its long history straddles that time, and includes a six-month siege in the 13th century – reputedly the longest and largest siege in medieval English history – and partial demolition on the orders of Parliament in the Civil War 500 years after that. You park your car in what were once the castle’s outer defences and approach it over a causeway – at one time used as a tiltyard (jousting area). 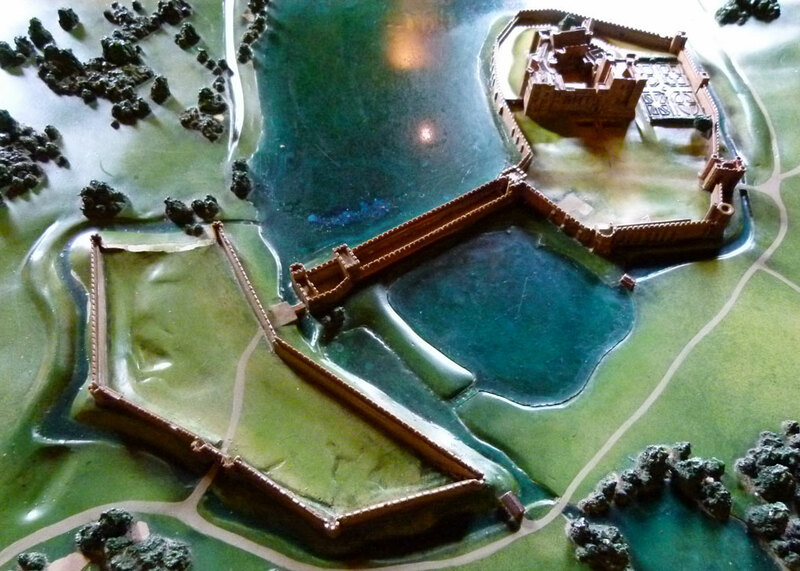 Either side of the causeway, and all round the main castle, was a defensive lake, or mere. 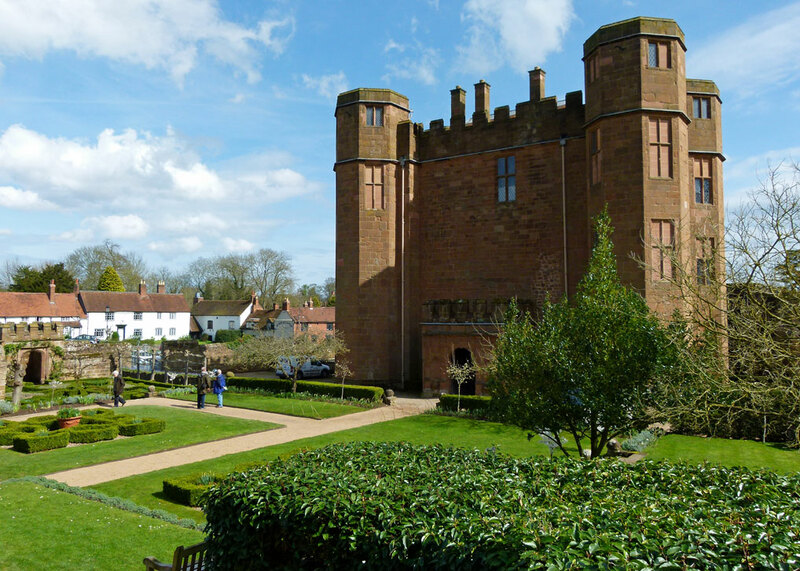 Kenilworth Castle was once one of the most defended fortresses in the land. It was founded in c1122 by Geoffrey de Clinton, Royal Treasurer to Henry I (probably nothing to do with greetings cards or other Clintons). He began constructing the massive keep, originally the main residential building and final defence against enemy attack. Henry had granted the land to Geoffrey, but Henry II took the castle back into royal ownership and garrisoned it against his upstart sons, ‘Young’ Henry, Richard (later Richard I) and Geoffrey. (I know – far too many Henrys and Geoffreys, sorry.) 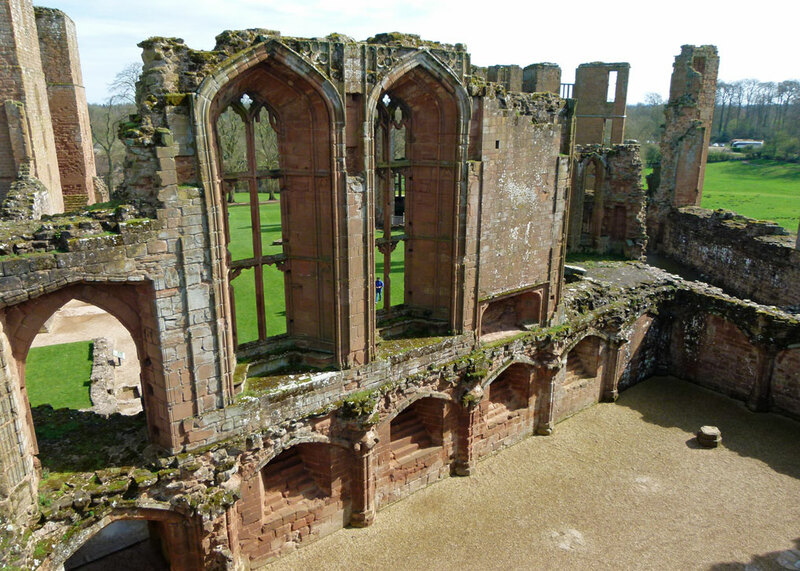 Henry II’s youngest son, John, extensively refortified Kenilworth between 1210 and 1215, when he was king. 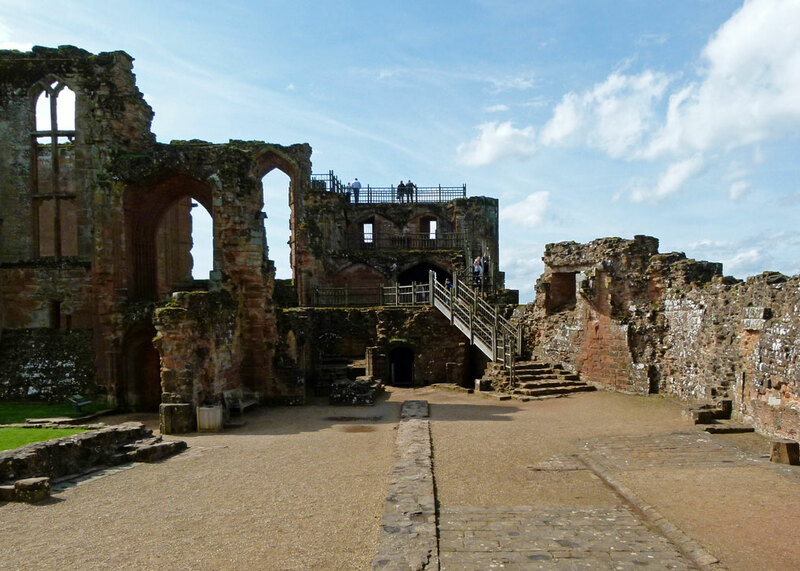 His son, Henry III, gave Kenilworth to his sister and her husband, Simon de Montfort, 6th Earl of Leicester. De Montfort went on to lead a faction of barons who objected to the King’s excesses, a disagreement which broke out into open rebellion and warfare, leading to the King’s defeat at the Battle of Lewes in 1264 after which his son, the future Edward I, was briefly held prisoner at Kenilworth. A released Edward went on to defeat the rebels at Evesham in 1265, when de Montfort was killed and his body dismembered. His supporters had not given in, however, and Kenilworth Castle prepared for the royal wrath. However, a polite request that the rebels had best give up resulted in the king’s messenger being returned with a severed hand. Both sides assembled huge resources and dug in, metaphorically. The siege began in earnest in June 1266 and lasted until December, when famine and disease eventually forced the defenders to surrender. In the meantime, Henry’s forces had tried everything, including bringing barges down from Cheshire for an unsuccessful water-borne assault across the mere. Massive siege engines were deployed too – some of the trebuchet balls are in the tearoom today, a building cunningly disguised as a Tudor stable. The victorious Henry gave Kenilworth to his young son, Edmund Crouchback, later Earl of Lancaster, thus beginning a 200-year association with the House of Lancaster. 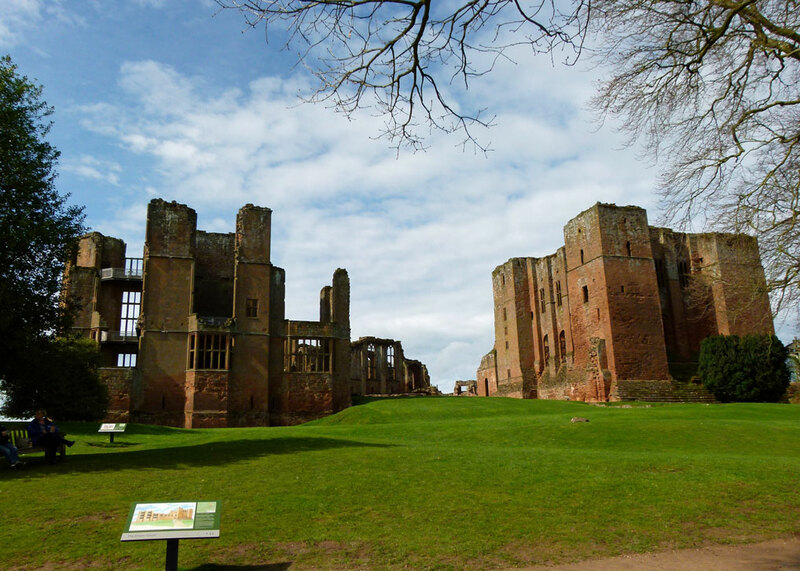 It was Edmund’s great-nephew, John of Gaunt, who married Blanche of Lancaster, that turned Kenilworth Castle into a palace. Gaunt, named for Ghent, his birthplace, and the fourth son of Edward III, was Duke of Lancaster and one of the great nobles and movers and shakers of his day. His enormous property portfolio across France and England included the sumptuous Savoy Palace in London – sacked by unhappy peasants during the Peasants’ Revolt of 1381. 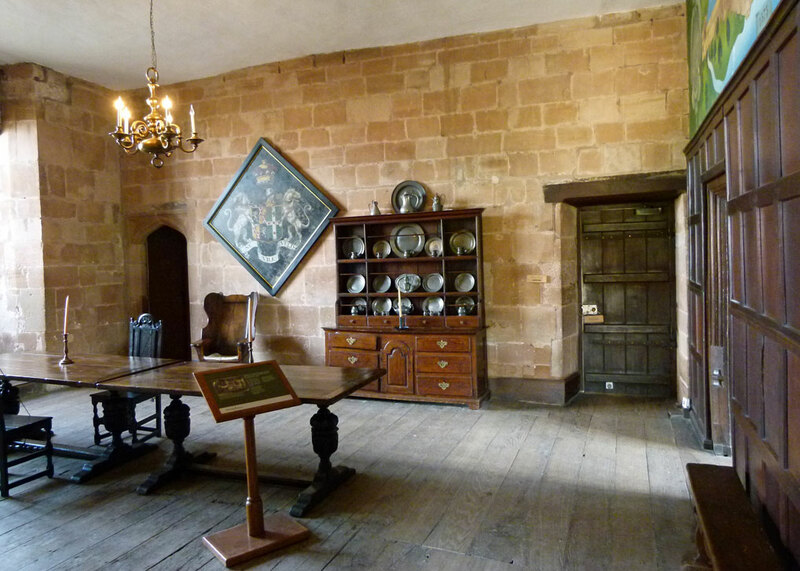 At Kenilworth, he added new kitchens, large, stylish, domestic quarters and luxury state rooms, with a banqueting hall that had the widest roof space in England outside Westminster. 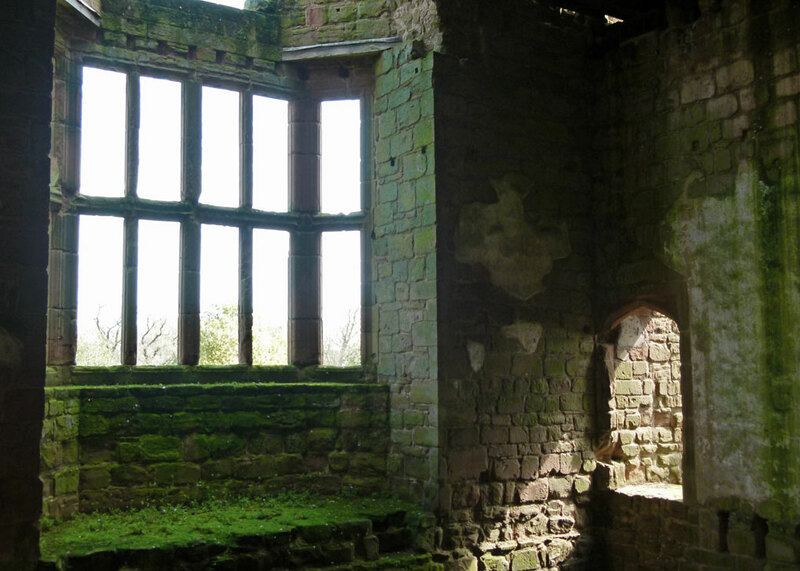 Even in ruin, the grandeur of Gaunt’s hall, especially its windows, is apparent. 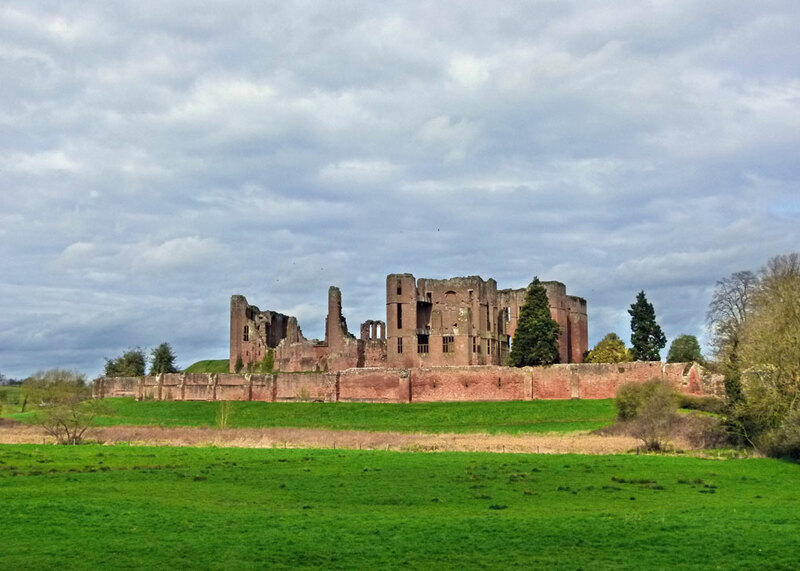 Kenilworth Castle became a favourite residence for Lancastrian kings, and the early Tudors. It was in the great hall, according to tradition, that John of Gaunt’s grandson, Henry V, received a gift of tennis balls from the French king, suggesting that the English would be much better off staying safely at home playing tennis, rather than waging war on their powerful neighbour. Predictably, Henry invaded France in August 1415, culminating in the significant defeat of the French at Agincourt in October. 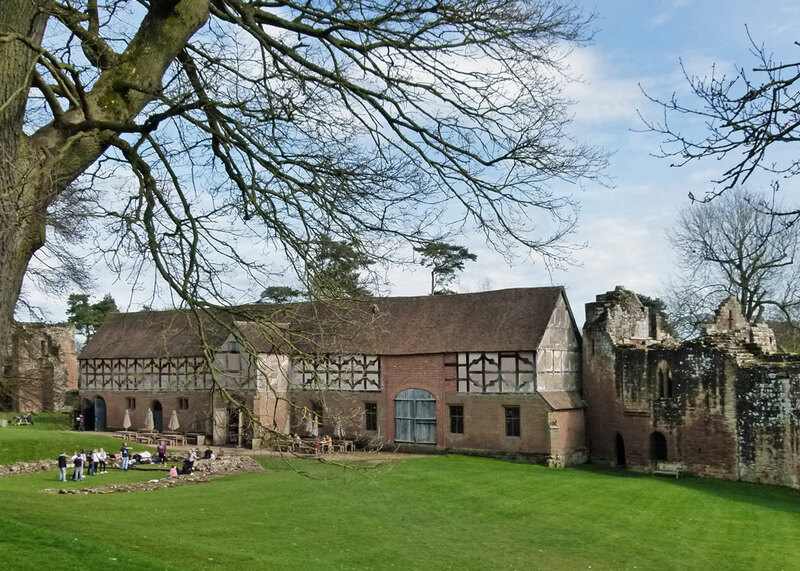 One of England’s great warrior kings, Henry ordered the construction of a secluded retreat for his own use at Kenilworth, across the mere, called the Pleasance. The site is still there, though no buildings survive – Henry VIII ordered them to be dismantled. 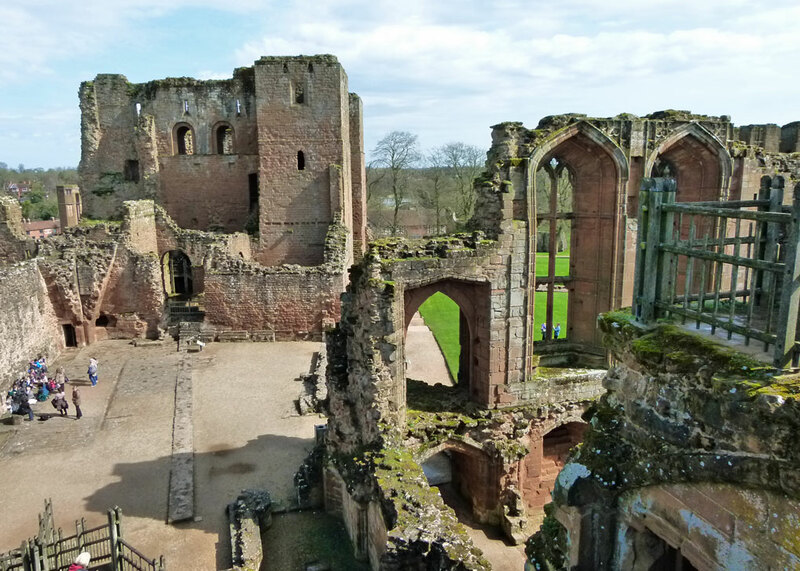 Henry V’s son, Henry VI, and his queen, Margaret of Anjou, also enjoyed Kenilworth Castle, using it as a safe haven during the Wars of the Roses. Ironically, Henry VII built a tennis court there. But you want to know about Robert Dudley and Elizabeth, don’t you? (Did they, or didn’t they?) 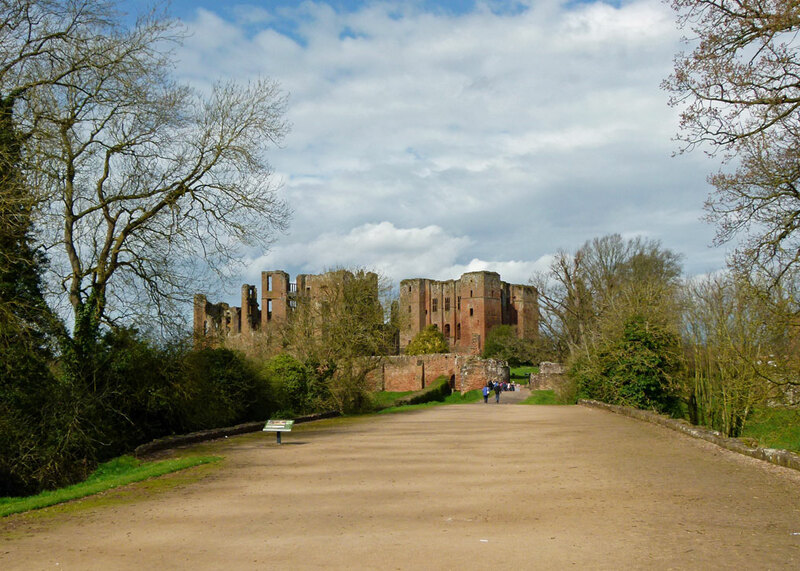 Kenilworth Castle was granted to John Dudley, the Duke of Northumberland, by Edward VI in 1553, during the last year of the king’s reign. Northumberland was executed for treason later that year by the new queen, Mary (reigned 1553-58), and his property confiscated. Robert Dudley was John’s son, and childhood friend of Elizabeth, who restored Kenilworth to Dudley in 1563. In 1564, he was created Earl of Leicester. It is said that Dudley was the Virgin Queen’s true love, and he appears to have adored her. Dudley certainly wanted to impress Elizabeth; probably he even aspired to marriage – impossible while he was himself married and almost certainly out of the question after his wife’s mysterious death, breaking her neck falling down stairs. 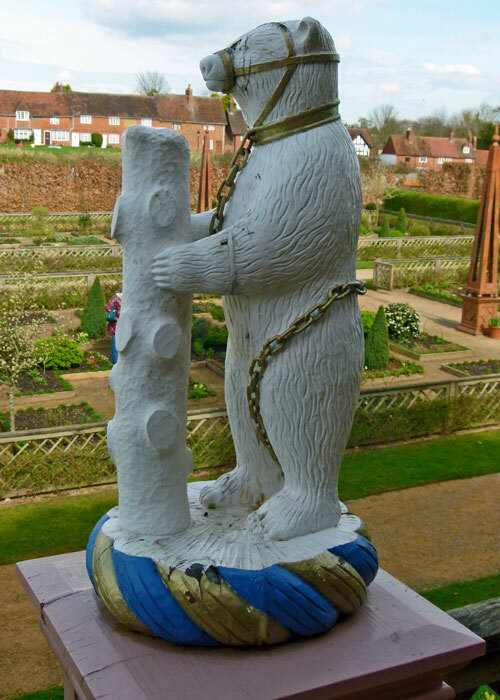 Still, at Kenilworth, Dudley spared no expense for Elizabeth. He built a small mansion especially for her, adjacent to John of Gaunt’s Palace, a four-storey state-of-the-art building with private apartments, even a dancing room – for Elizabeth loved to dance – and with wonderful views. 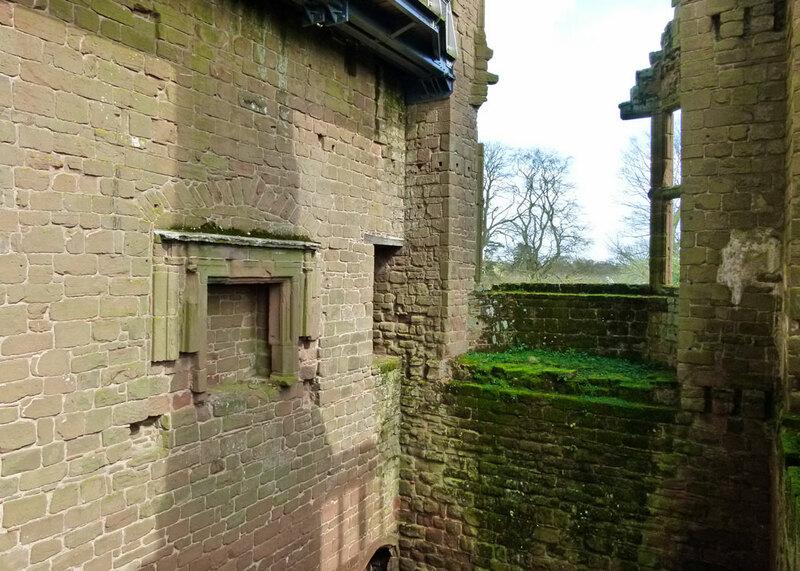 Beyond the castle grounds, he created a chase – a large hunting ground with walks, seats and decorative features like arbours – a 600 feet-long bridge across the mere to reach it and a grand, new, northern gatehouse. And, inside the castle walls, he created a private garden for his queen. 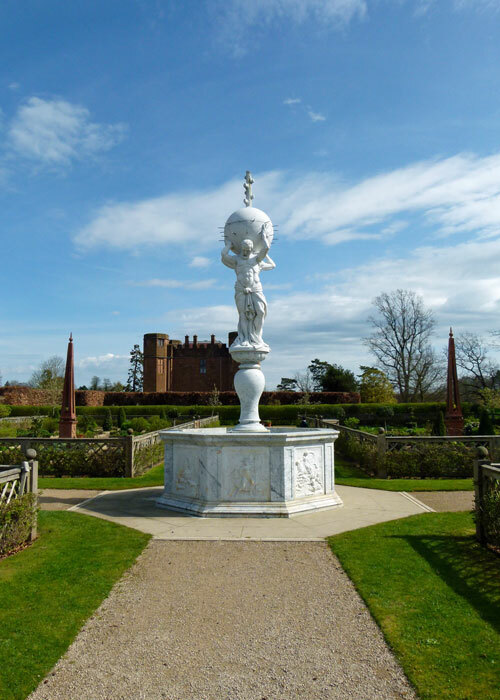 Elizabeth visited Kenilworth four times, the last occasion in July 1575, when she stayed nineteen days – the longest visit she made to any subject. It is said that her stopover cost Dudley £1,000 a day – an extraordinary amount in those days, equivalent to about £239,000 in 2017. The entertainment included gifts, wandering actors spouting nice things about her, bear-baiting (always good for wooing), fireworks, plays – including one featuring Triton riding an 18-foot mermaid (as you do) – and, of course, hunting…Dudley was obviously not the sort to try to get away with an Indian take-out and a cheap bottle of Pinot Grigio. Even before the Parliamentary army slighted Kenilworth in 1649, to prevent its future use as a fortress, the castle had become something of a tourist attraction. International fame came with the publication of Sir Walter Scott’s novel, Kenilworth, in 1821, a fictional romance based around Elizabeth, Dudley, his first wife, Amy, and her tragic death. 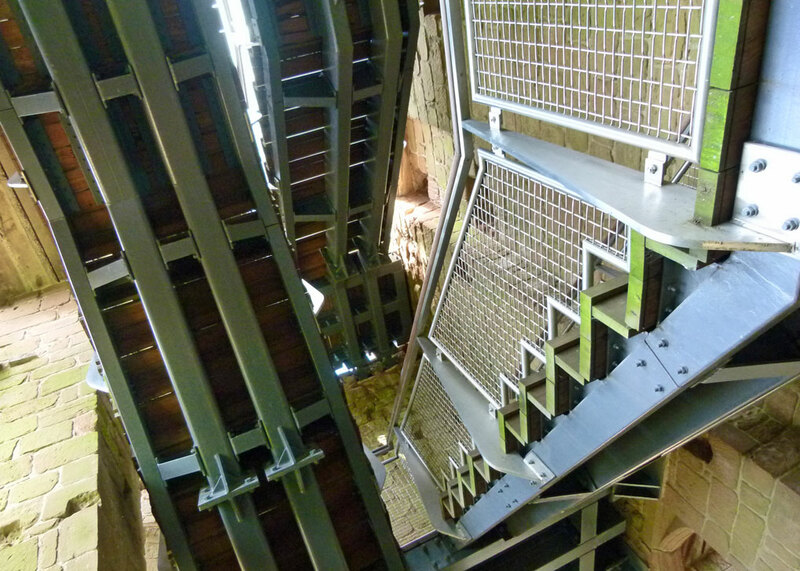 English Heritage has installed massive steel and timber stairs and walkways in Leicester’s sadly ruined building, which take you inside the abandoned rooms that Elizabeth and her entourage would have enjoyed, right up to the Queen’s apartments with views from 60 feet up, over the rest of the castle and surrounding countryside. 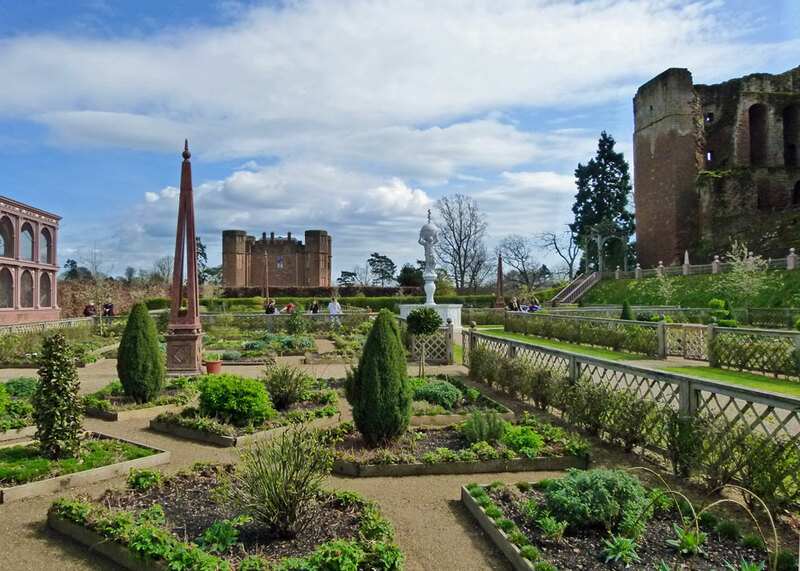 The garden Dudley designed for Elizabeth has also been recreated, based on contemporary accounts and painstaking archaeology. It includes a Renaissance aviary and an 18-foot high marble fountain. It has been planted with low privet hedges in Elizabethan style, with flowers, shrubs and small trees known to have been popular at the time – carnations, pinks, stocks, wallflowers, bay, holly, juniper, viburnum and, of course, roses. You’ll find more on English Heritage’s website, where you can also download a useful plan of the castle. Regular events, including reenactments take place. And just down the road is Kenilworth Castle’s rival, Warwick Castle; though virtually complete, there is something of the theme park about Warwick. You have taken some excellent photographs to go with your interesting write up the castle. Interesting tidbits about Elizabeth’s stay. Goodness, a house guest like that could bankrupt a man for life! What an amazing place full of history and beauty. Thanks for all the research you do to make your posts so interesting and amusing. I like the idea of being able to climb up to the Queen’s apartments and see the view from there. Good for English Heritage! Thanks, Clare. The stairs really are very impressive and, thanks to useful information boards, you do get an impression of how it must have once looked. Yes, Hilary, English Heritage has done a really fine job at Kenilworth. It must have cost a small fortune, too. Isles from Texas, I chose not to go to the more theme park type rival castle Warwick Castle. I do not even like like their web pages- too commercial. Thank you, Betty! 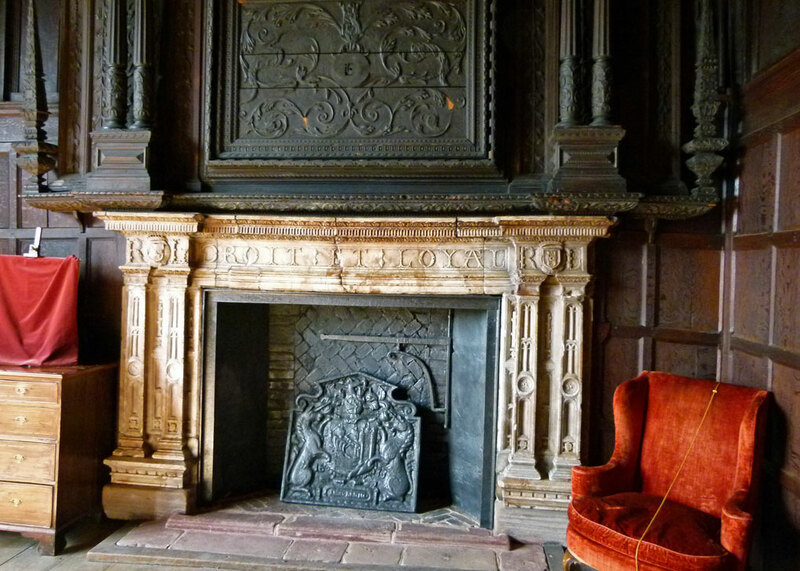 I agree about Warwick – though it is an impressive place and I will revisit it sometime. Let me know if you need any ideas for your trip! I love the way you write! And I can see I need to brush up on my English history before October. I plan to spend a lot of time here on your site! Thanks, Jeanie – very flattering! If it’s any interest, I’m in the process of updating the history pages on A Bit About Britain, ahead of pulling them together in a Kindle book. That’s the plan, anyway..! Thanks for going in to the earlier history…what a beast of a fortified place it must have been! A great detailed account of this castle which I must visit! It’s probably 20 years since I last visited Kenilworth and I’d love to see it again. It’s usually shut on the days when I drive past, though, so it will have to be a special visit. Not on Mondays, which is the day I usually drive past. I’ll just have to spend a week in B&B going round castles in the Midlands. Even today, a marvelous place, Mike! Yeah – not a tactic that would spring to my mind..! What marvellous grandeur and history to visit and appreciate! awe inspiring buildings! What a wonderful place it must have been in it’s day! I always enjoy your posts! Great information about each venue. I’d so love to visit the places you write about! God bless England! Well, I hope you do get to visit some of them! Bless you for taking the time to give us another fascinating blog post, especially seeing as how you and Mrs. B must be frantically packing for your road trip to Windsor. I can’t remember if you are a groomsman or an usher, but have a wonderful time! We’ll be watching for you.